The backwoods method of traditional moonshining is alive and well at Bellingham’s Mount Baker Distillery, the first legal and licensed distillery in Whatcom County since prohibition. This family-run, small batch distillery takes their Grandpa Abe Smith’s six-generation-old recipe to create traditional corn whiskey moonshine, Apple Pie moonshine and handcrafted vodka. 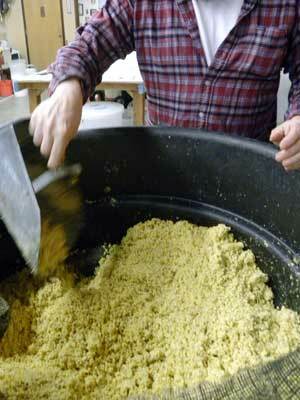 Starting with local, non-GMO corn, father and son team Tom and Troy Smith, begin their moonshining process using only corn, barley and yeast. 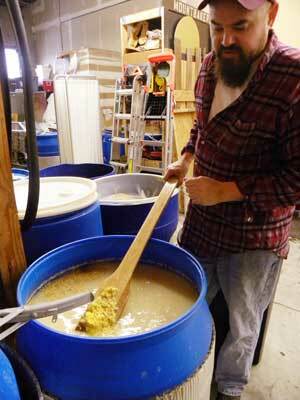 Each batch—enough for about 12 bottles—is handcrafted by Troy, himself. The distillery is open for tours Tuesday through Saturday 12-6pm with private tours available for anyone interested in the fine art of moonshining. 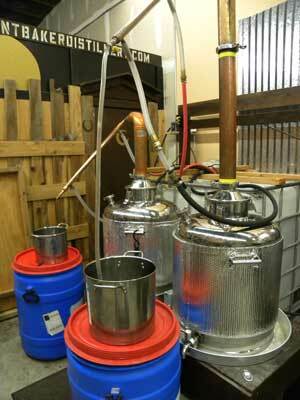 All of our stores carry their traditional Moonshine, Apple Pie Moonshine and Handcrafted Vodka. For true backwoods enjoyment, we recommend pouring yourself a warm mug of Hot Apple Pie Toddy. Try Tom and Troy’s recipe below for a simple, country holiday treat. In a tall Irish coffee glass, pour hot apple cider and Mt Baker Apple Pie Moonshine. Stir in a spoonful of honey and finish with a squeeze of lemon.